The former Gatorade national player of the year had considered the Huskies during his initial recruitment out of Lake Stevens more than two years ago. Barring a last-minute change of heart, former Lake Stevens High School star quarterback Jacob Eason is expected to transfer from Georgia to Washington for the next step in his college football career, multiple sources told The Seattle Times. 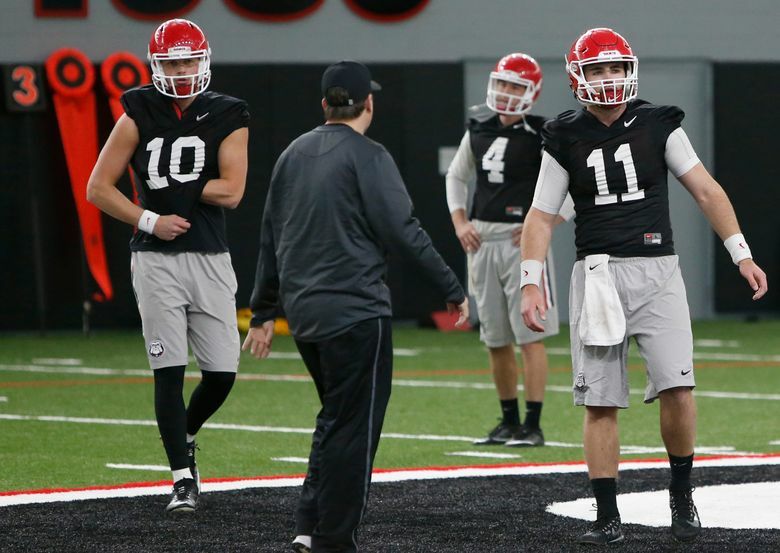 Eason, a strong-armed 6-foot-5 sophomore, would have to sit out the 2018 season under NCAA transfer rules. He then would have two seasons of eligibility remaining. The 2015 Gatorade national player of the year at Lake Stevens, Eason began this season as Georgia’s starting quarterback, but a sprained left-knee ligament knocked him out of the opener. 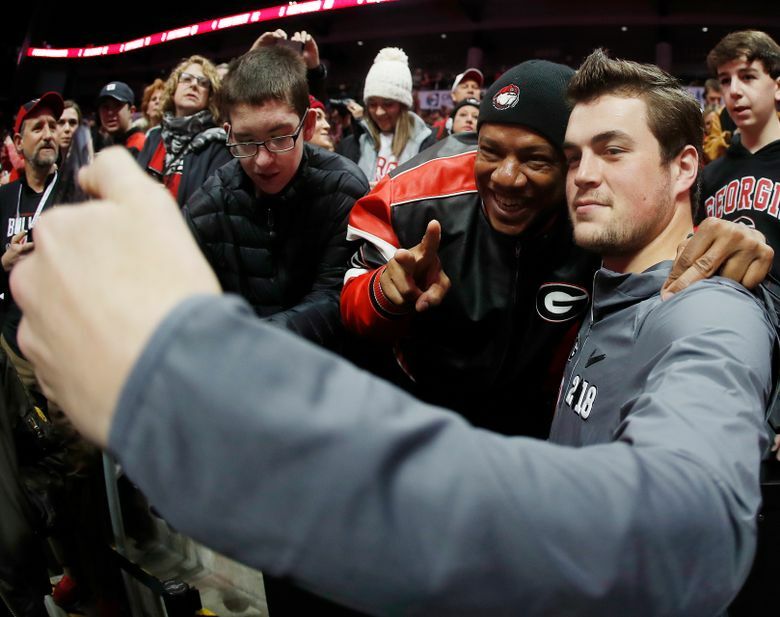 True freshman Jake Fromm took over for Eason and did not relinquish the job, leading the Bulldogs to an SEC championship and Monday’s College Football Playoff championship game in Atlanta. In a brief interview after the Bulldogs’ 26-23 overtime loss to Alabama on Monday night, Eason said he has not made a decision about his future. 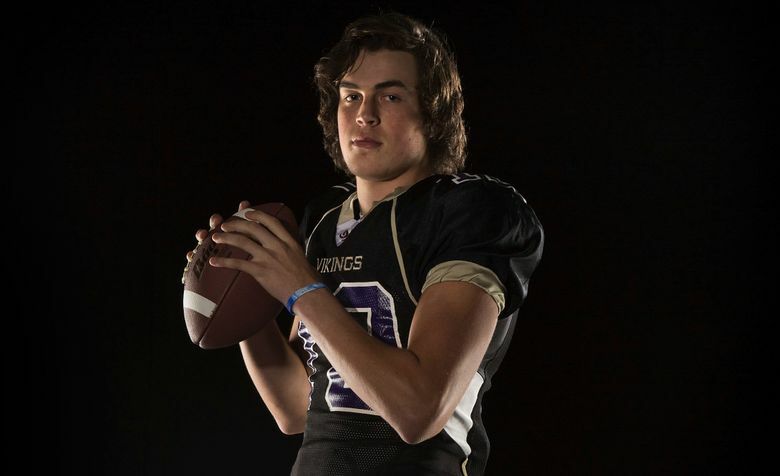 A former five-star recruit, Eason had considered the Huskies during his initial recruitment out of Lake Stevens. In 2014, during coach Chris Petersen’s first spring at UW, Eason was a regular at Husky practices, throwing a football with friends on the Husky Stadium sideline while wearing Husky gear. 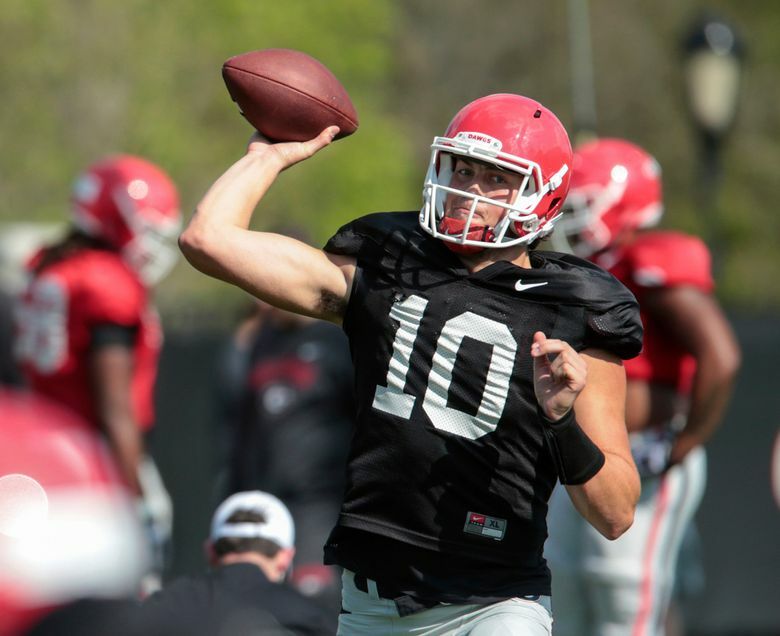 He wound up sticking with his long-standing commitment to Georgia and won the starting job as a true freshman in 2016. That season he threw for 2,430 yards with 16 touchdowns and eight interceptions. Eason appeared in six games for Georgia this season, completing 4 of 7 passes for 28 yards. Per NCAA rules, he is not eligible for a medical-redshirt season. At UW, Eason likely would compete for the chance to succeed Jake Browning as the starting quarterback in 2019. The Huskies have a plethora of young talent at the position. Last month, the Huskies signed two quarterback recruits, Jacob Sirmon and Colson Yankoff, ranked among the top 100 players in the nation. Sirmon and Yankoff enrolled in their first classes at UW last week. The Huskies also have two other young quarterbacks, Jake Haener and Daniel Bridge-Gadd, on the roster, and they have four-star QB Dylan Morris out of Graham-Kapowsin High committed in their 2019 recruiting class.